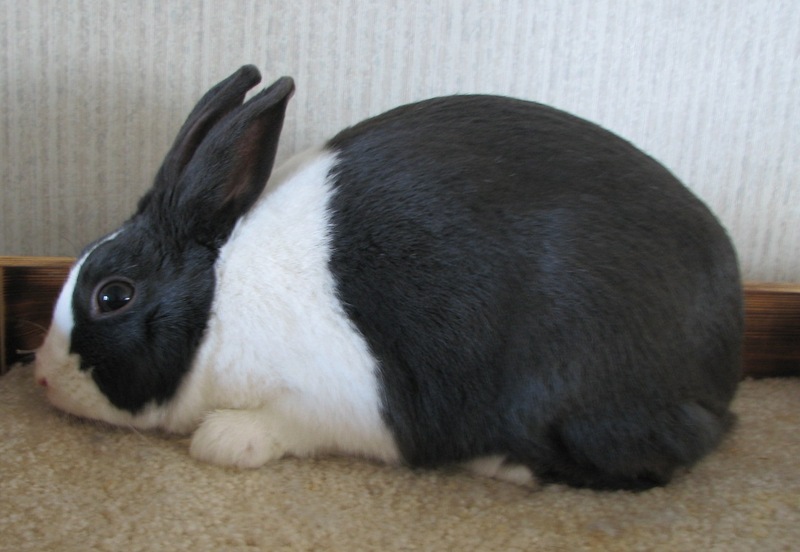 Dutch are medium sized rabbits with a unique color pattern, where half the rabbit is white, and the other half including blaze and ears are another color. The Dutch rabbit traces its roots to the Petite Brabicon of the Netherlands which would often exhibit the dutch pattern. It was imported to England, and became the foundation for the Dutch rabbit.